D & D Gardening offers a cost efficient, professional and a fully insured, reliable service. catering for your every need to create your perfect garden. 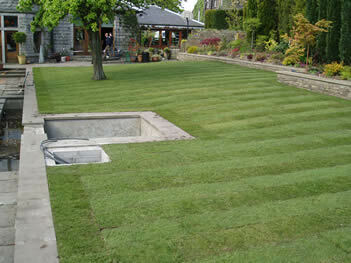 From maintenance to a full garden make over we are confident you will be satisfied with the outcome. We manufacture all types of wooden fence panels and supply concrete fencing materials, we also deliver, take a look at our prices. Flagging in both stone and concrete. So give us a ring on 0161 628 3944 or call in and see us at Windsor Street (off Shaw Road), Oldham OL1 4AQ.